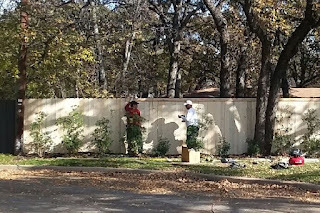 This initiative was to patch the 45 foot fence at the exit to keep it from falling down and allow the shrubs grow and block the view of the home behind the community. The plan was to avoid full replacement ($2,500.) 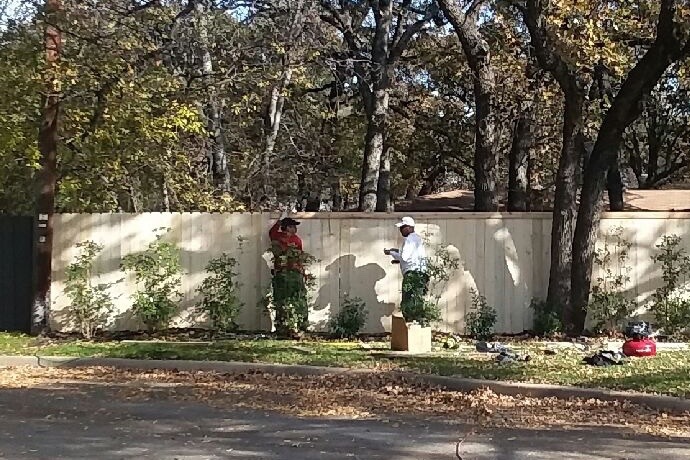 by salvaging fence parts from an older fence; to replace the rotted and termite damaged runners and pickets and then paint the fence FoxBlack to match the adjoining section. After taking the fence down, the pickets were too fragile to reassemble and had to be replaced.